After what may have seemed like 6 weeks of silence (we can assure you, it was anything BUT silent for us!) we're here with a mid-Bible School update for you! This ministry season so far has been amazing beyond words, but it has also been incredibly busy for us. We are thrilled to be developing relationships with each of the students attending the Mission Bible School program and the Bible School is going extremely well, considering this is its first year running! 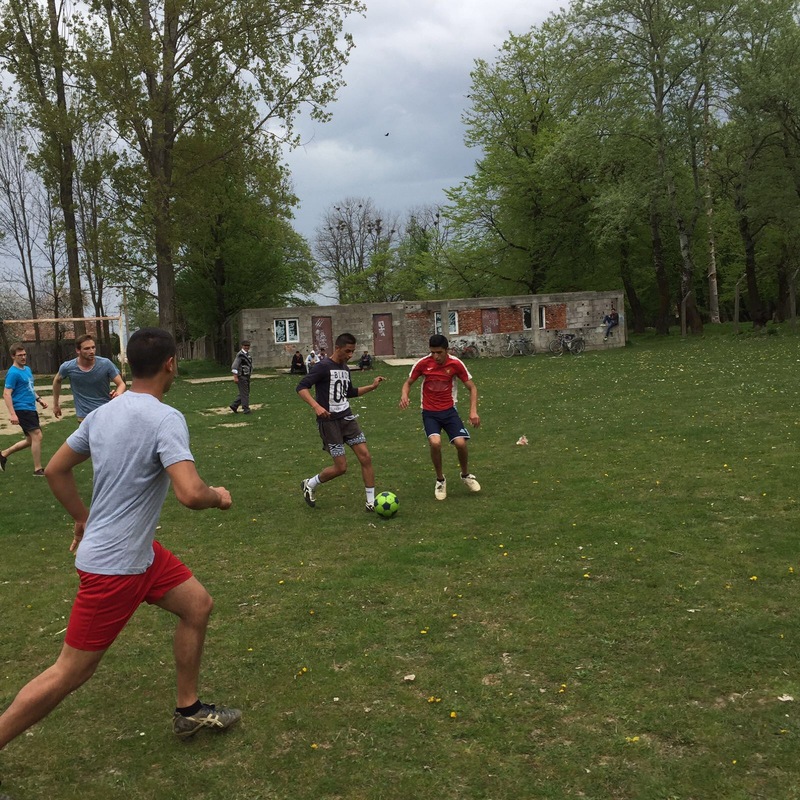 The students are enjoying the lectures, they're getting involved in several different local outreach ministries, experiencing the local culture, connecting with the staff and families here at PdF, and getting to know one another in a meaningful way as they grow closer to God. 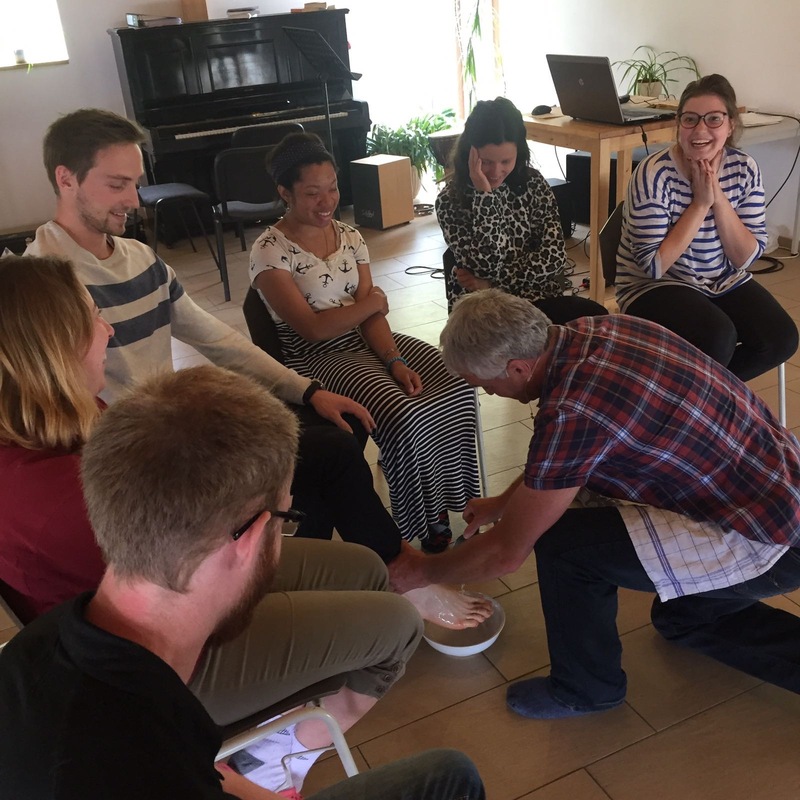 We're so thankful for the privilege to be able to watch them each growing in their individual relationship with God as well as in their relationships with one another, developing friendships that will last much longer than Bible School and having once-in-a-lifetime experiences here in Romania. Jerry's days are filled to the brim with coordinating the weekly schedules for the students' activities, providing discipleship to each of the students, leading and managing all the day-to-day activities and connecting with students over meals and free time activities, planning and leading the 3 Bible School "challenges" along with Ebbe and Florin (the PdF director and Assistant Director), coordinating the bible school Sunday evening church services, coordinating the lecturers, and basically being available for any situation that might arise at any given time during the Bible School. This has meant a very, very full schedule for Jerry (and therefore for Chrissie and the girls as well!) and has given rise to some very interesting situations, including an all-night emergency room visit with one of the students (she's okay now!) and having to take all the students to church the next morning! On top of all this, Jerry is also preparing for the upcoming summer during which he will be coordinating the Summer Volunteer Team. He is handling all the correspondence with the applicants, and when they arrive he will be leading, instructing, and mentoring the team throughout the summer. 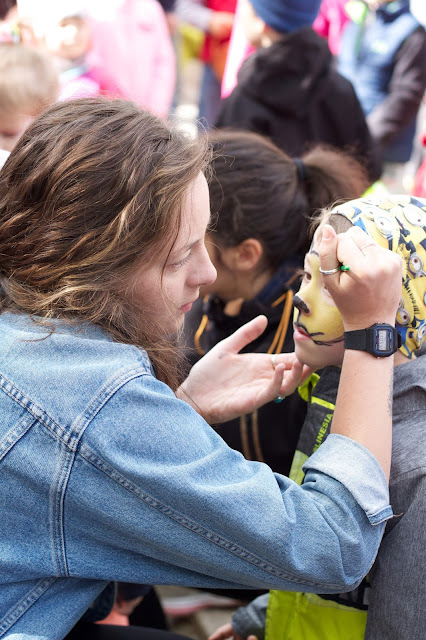 Chrissie has enjoyed connecting with the students on the weekends through social activities and worship and prayer nights, and also co-leading the discipleship, prayer, and share group for the female students with Ana (one of the Romanian staff at PdF who works in accounting). Many of the Bible School students come to church with our family each week which has given our kids a unique opportunity to connect with the students and build relationships with them. The Bible School students have shown so much love to our girls and it's been fun to see our kids interacting with students from so many different cultures and backgrounds. In the first 6 weeks of Bible School the students have developed a routine with their weekly outreaches to local Micii Exploratori (Little Explorers) clubs for kids and after school programs in some of the surrounding villages. They've also enjoyed several prayer walks through the neighbouring towns, soccer outreaches to one of the local Gypsy villages, and visits to a few local orphanages, an Easter outreach event in Rasnov, and they even participated in an activity Jerry planned for the PdF staff and students to pick up garbage around the neighbourhood. 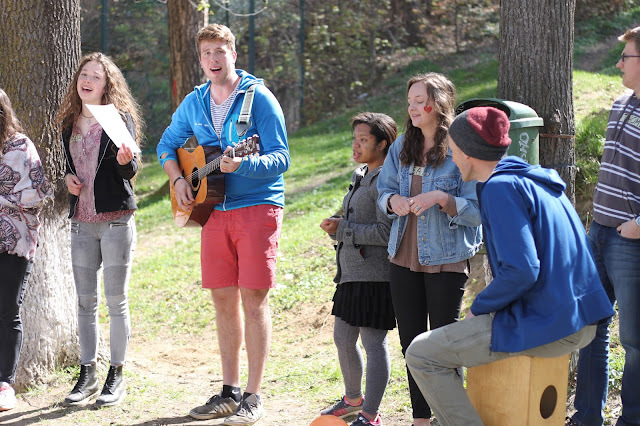 Each of these outreach opportunities allow the students to work with an existing long-term ministry in action, to see how effective ministry is done in a cross-cultural setting and to experience what it's like to minister cross-culturally. students on a prayer walk in "Shadow Valley"
soccer outreach - we had over 25 youth show up! 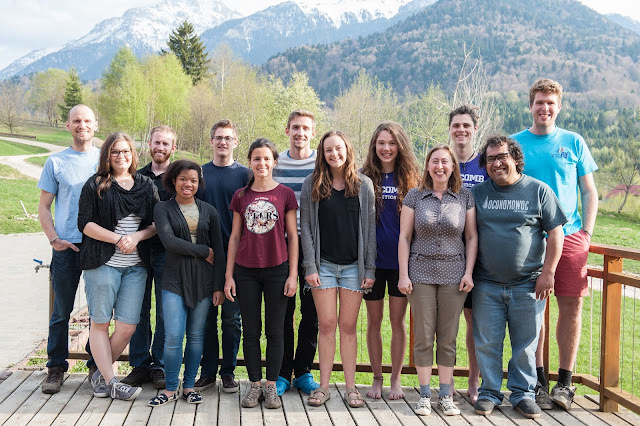 The students have also enjoyed lectures on Evangelism and Missions, the book of Acts, the book of John, the book of Ephesians, Apologetics, Evangelism and Youth Ministry, and there are still many more topics to come. 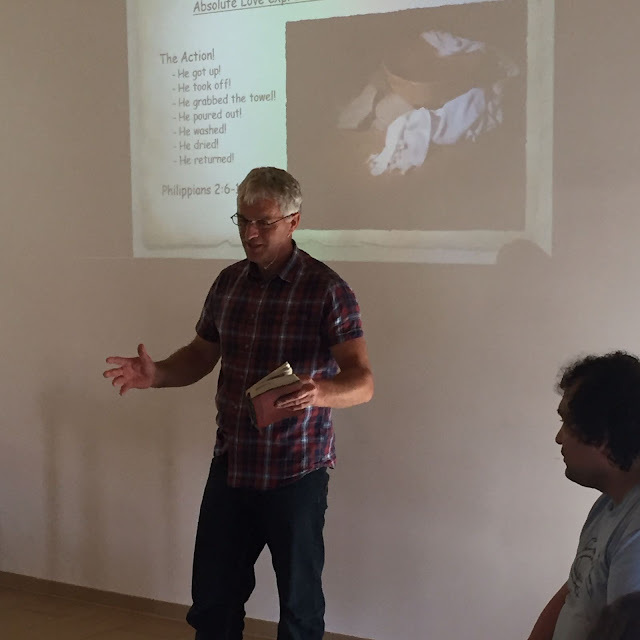 Andy Thomas, son of Torchbearers International founder Major Ian Thomas, teaching on the book of John, was a highlight for many of the students. The students have also completed their first "challenge": the Cultural Encounter challenge where they worked in groups to complete a series of tasks in an unfamiliar, remote village which included having to find a place to sleep for the night, finding food to eat, and finding transportation without any money or cell phone. Both groups of students completed the Cultural Encounter challenge successfully with some great stories to tell, both of their time connecting with the local villagers and sharing their faith, and of how God met them in their need and showed Himself to them as they completed their tasks and connected with each other. 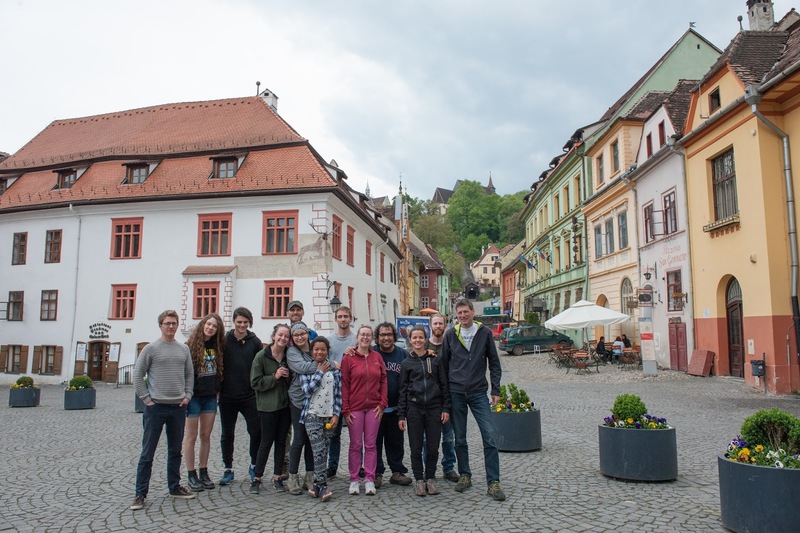 After the Cultural Encounter, the entire bible school group spent the night in a Fortified Church to learn all about the Saxon history here in Romania and enjoy some delicious Romanian food. In the remaining weeks of Bible School the students will be completing the Outdoor Challenge, where they'll experience wilderness survival situations and be pushed to their physical limits. They'll also have 3 more weeks of lectures and they'll be completing the Mission Outreach Challenge. We're excited to see God's work continuing to unfold in their lives as they experience the rest of the Bible School program. This Bible School ministry season has been a challenging one for our family, although we knew in advance that these would be very busy months. 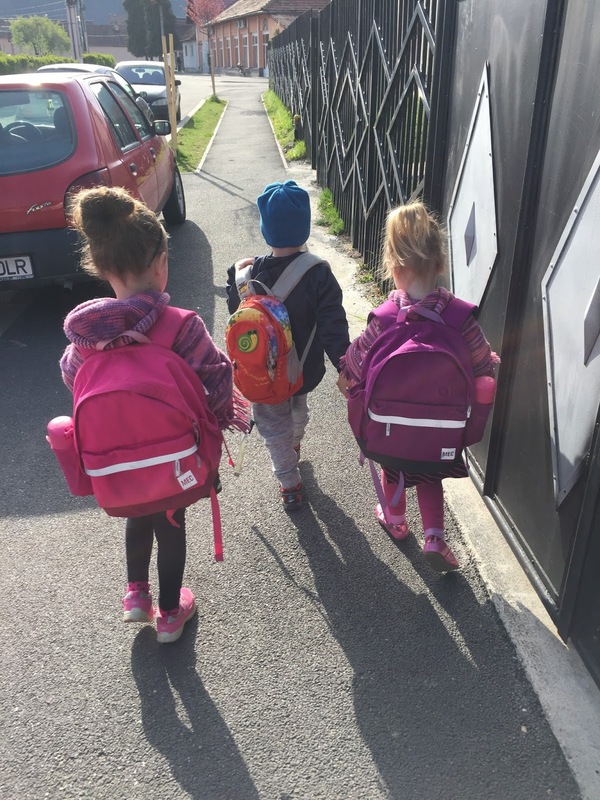 Eden turned 3 in April and so she now attends the German-Romanian Kindergarten in Rasnov with Miriam and several other children from PdF. The girls are enjoying their mornings at school and this has given Chrissie the opportunity to help out a little more with the Bible School alongside Jerry. 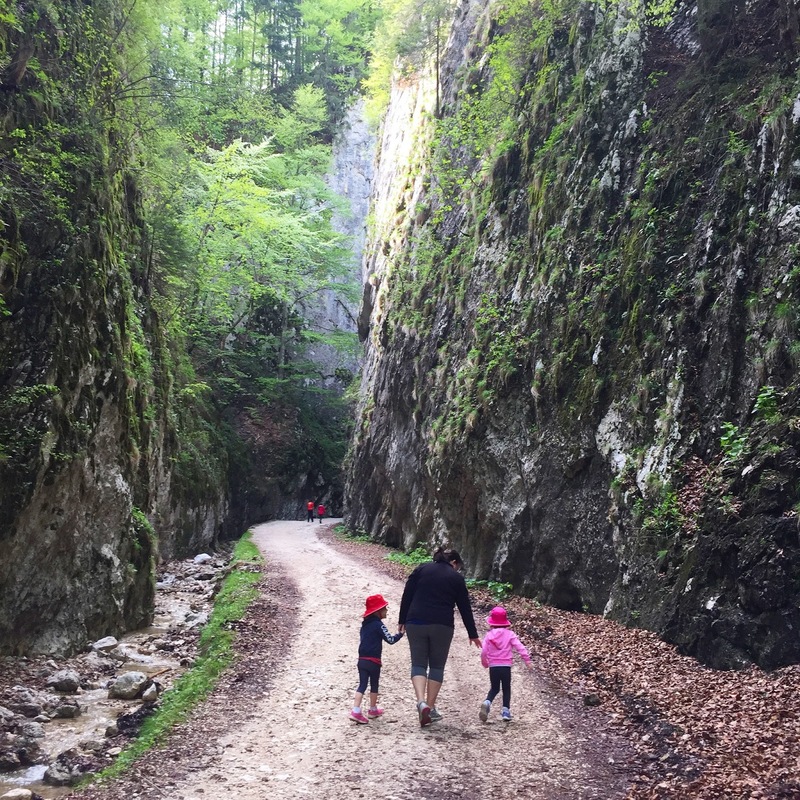 We've struggled a little bit to set aside family time in this busy season, but we're trying to enjoy the outdoors with our kids as much as Jerry's schedule allows. We went on a beautiful hike just the 4 of us a couple of weekends ago and it was a much-needed time of refreshment. 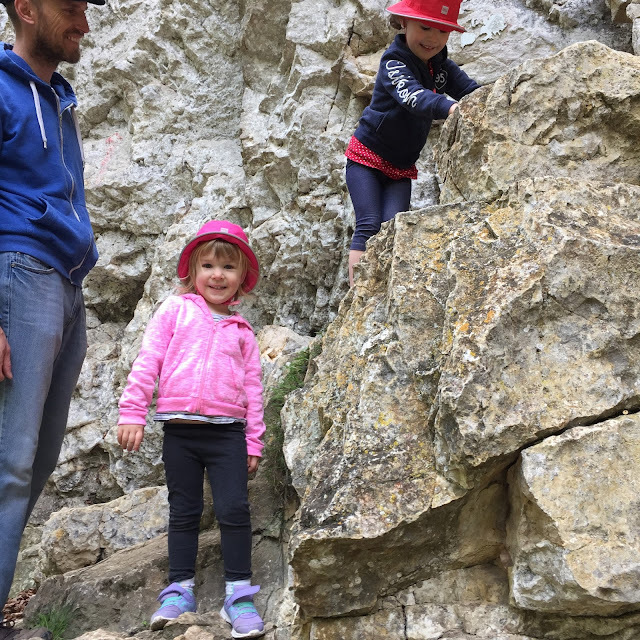 The opportunities to get into nature here are endless and the kids are really enjoying learning how to hike and climb. Even though this season has been busy, the girls have enjoyed spending time at the PdF center with the bible school students. We've made a habit of enjoying meals with the students as much as we can and almost every week we've hosted a small group of students for Family Group at our home. We've enjoyed getting to know the students more deeply as we enjoy dinner together and showing them what it's like to live as a Canadian family in Romania. Chrissie's shoulder is continuing to heal nicely and we have managed to avoid any more viruses since the beginning of Bible School which is a huge answer to prayer. 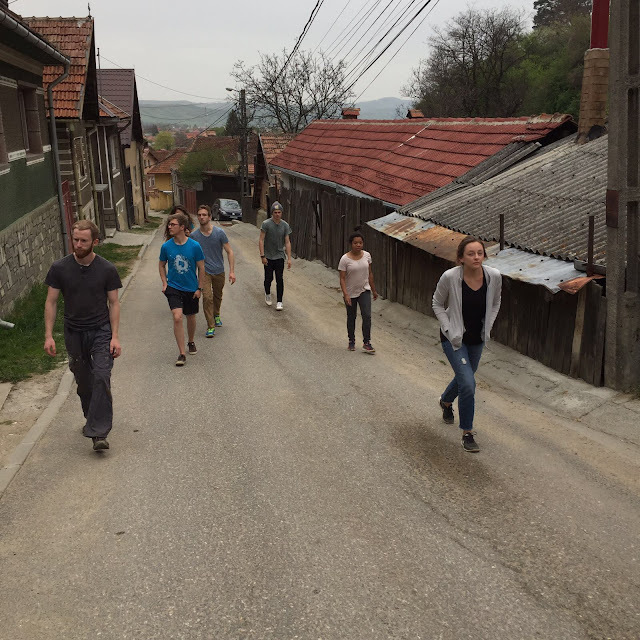 We also continue to attend church in Brasov at Biserica Harvest Metanoia and help out at the evening services at Izvorul Vietii in Rasnov. Jerry has enjoyed playing soccer on Tuesday evenings in Rasnov and going climbing at the climbing gym in Brasov with a group of guys from PdF and Chrissie is a part of a Women's Bible Study with a group of women from a church in the town of Codlea as well as a prayer and share group with the female PdF staff and staff wives. Jerry will attend the Torchbearers International Staff Conference in England for a week at the end of June and Chrissie will stay here at PdF with the girls. This trip will be another big challenge for our family since Jerry will fly to England the day after the bible school ends, but we are looking forward to taking a week or two of vacation in July before Jerry's next busy season begins at the end of July with the summer sports and outdoor camps. 1. For stamina for our family to finish this bible school well; for times when we can connect as a family despite the busy schedule of this ministry season. 2. For the Bible School students; that they would have direction for their lives after Bible School and that they would finish the program well. 3. For students and teachers for next year's Bible School. 4. For the upcoming summer ministry season with many camps and programs (that many kids would come, hear the gospel, and put their faith in Jesus - that the staff and volunteers would have strength and endurance for the summer). 5. For Jerry's trip to England in June to be a great time of learning and connecting with other Torchbearers International staff. 6. For our children as they continue to struggle with language learning and communicating with their peers. 7. 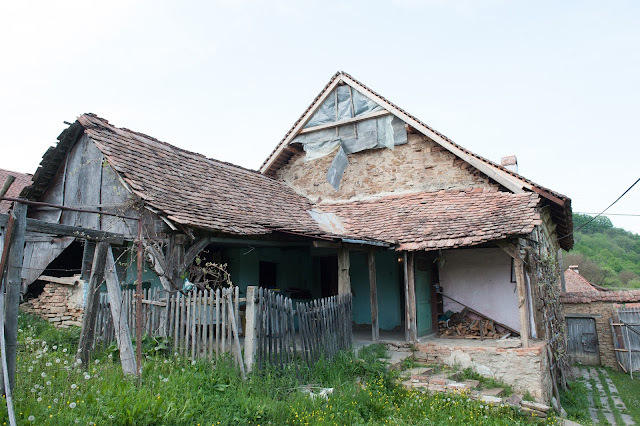 For our own language learning; that our Romanian language skills would continue to grow and for many opportunities to practice speaking. If you'd like to make a financial donation to our ministry, click here.